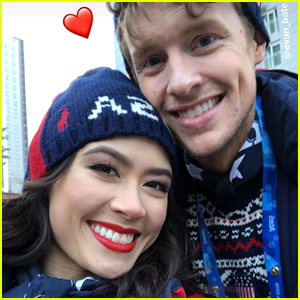 Evan Bates Photos, News, and Videos | Just Jared Jr.
Madison Chock and Evan Bates were all smiles during the closing ceremonies during the 2018 Pyeongchang Winter Olympics over the weekend in South Korea. The ice dancers and real life couple even shared a sweet dance together while at the big event, alongside their teammates. 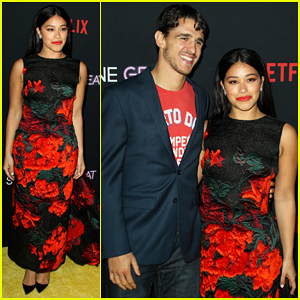 During their Olympic experience, Madison and Evan spent both Valentine’s Day, AND his birthday together there. While Madison and Evan missed the podium after their skates collided in the free dance, they shared a million thanks to all the support they received afterwards. Madison Chock and Evan Bates most likely heard your gasps around the world as they fell on the ice during a spin at the 2018 Pyeongchang Winter Olympics last night. One of three USA teams competing for a spot on the podium, Madison and Evan spun out during one element of their free skate, which was set to John Lennon‘s “Imagine”. Because of the fall, the team ended up in 9th place overall. After their program ended, you could see how heartbroken Madison and Evan were, but don’t worry — they will be back, and stronger than ever. 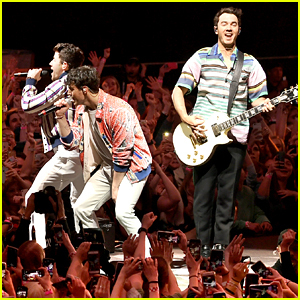 Their next competition will be at the World Championships in Milan. 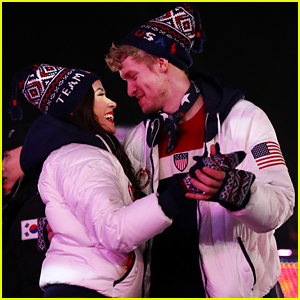 If you’re picking up on some chemistry between ice dancers Madison Chock and Evan Bates at the 2018 Pyeongchang Winter Olympics, you’re 100% right in thinking that they are a couple. The Michigan-based duo, who are competing later today in the Short Dance competition, recently opened up about how they fell for each other on the ice. Be sure to follow Madison and Evan on social media too — their Instagrams are full of amazing and adorable pics! Meet The Full US Figure Skating Olympic Team For PyeongChang Olympics 2018! The official roster for the U.S. Figure Skating Olympic Team have been announced. After competing at the 2018 U.S. Championships over the weekend in San Jose, U.S. Figure Skating announced that three men, three ladies, three ice dance teams and one pair team would be headed to the 2018 Pyeongchang Winter Olympics set for next month. During the Olympics, like in 2014, the US team will also compete in the team event consisting of one lady, one man, one pairs team and one ice dance team, which will be announced in the coming weeks. The 2018 Pyeongchang Winter Olympics will kick off on February 9th in South Korea. Love Meryl Davis and Charlie White? 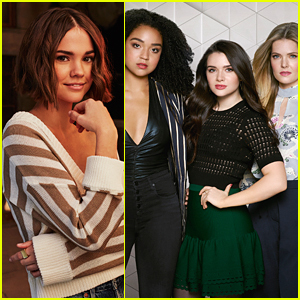 You’ll love these two Ice Dance teams even more! Madison Chock and Evan Bates and Madison Hubbell and Zachary Donohue have been on the scene for years, but definitely need so much more love because both teams are amazing! 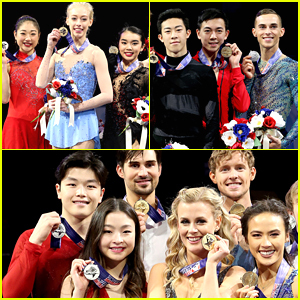 The two ice dance teams placed second and third, behind champs Alex and Maia Shibutani for the second year at the 2017 U.S. Figure Skating Championships this weekend — and their programs were just as cool. Look who’s back on the ice — Tessa Virtue and Scott Moir! Canada’s #1 Ice Dance team has returned to competition with the 2016 Skate Canada International held at Hershey Centre on Friday (October 28) in Mississauga, Canada. Tessa and Scott lead the short dance competition with USA’s Madison Chock and Evans Bates in 2nd place. Patrick Chan led the men’s short program, with Olympic champ Yuzuru Hanyu in 4th place. Competition resumes today, starting at 2PM.